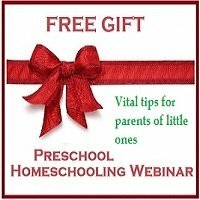 Usually one of the first questions mothers of pre-schoolers ask is what they must do to stimulate their children so that they will achieve academically…or they ask for a recommended preschool curriculum. What they actually want to know is what to DO to help their children learn. 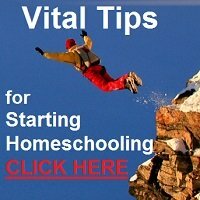 Over and over I find myself referring mothers to the articles about Relaxed Preschool Homeschooling to show them that they don’t need a structured programme, but that a stimulating home and daily life provides ample opportunities for little ones to learn. If you haven’t yet read those articles, please do. In 1997 when I started homeschooling, the first parent book I read about education was Better Late Than Early by Dr. Raymond and Dorothy Moore. To this day, I am so glad I did and I recommend it for you too. This book emphasises that continuous attachment with the mother is one of the most important factors in healthy childhood development. Secondly, multi-disciplinary research showed that the average school-going age in most developed countries is too low for a large number of children. Many children perform much better if allowed to start formal learning at a later age, when they have developed cognitively, emotionally and physically. Better Late Than Early was first published in 1975 based on research done between 1950-1975, yet even now, in 2014, researchers are finding that little children do not need highly academic learning activities, in fact, these could be detrimental to their development. 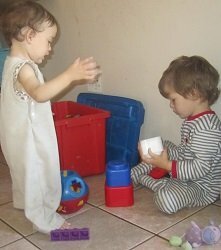 The research shows that formal learning activities prevent natural brain development through INDEPENDENT PLAY which is essential for later education. It is also concerning that some studies have demonstrated a clear link between the decrease of play opportunities for children over the second half of the 20th century and increased indicators of stress and mental health problems over the same time frame. In the UK, David Whitebread, a Cambridge researcher from the Faculty of Education, reports that "neuroscientific studies have shown that playful activity leads to synaptic growth, particularly in the frontal cortex, the part of the brain responsible for all the uniquely human higher mental functions." He says that several studies in the fields of anthropology, psychology and education also show that an extended period of playful learning before the start of formal schooling is important for all children. His studies in developmental psychology have also consistently demonstrated the superior learning and motivation arising from playful, as opposed to instructional, approaches to learning in children. Pretence play supports children’s early development of symbolic representational skills, including those of literacy, more powerfully than direct instruction. "Physical, constructional and social play supports children in developing their skills of intellectual and emotional ‘self-regulation’, skills which have been shown to be crucial in early learning and development." In The Washington Post, pediatric occupational therapist, Angela Hanscom, explained why so many kids are so fidgety in class and being diagnosed with Attention Deficit Hyperactive Disorder (ADHD): they don’t have enough core strength and balance to hold their bodies still long enough to learn. When students were tested, she found that when compared to children from the early 1980s, only one out of twelve children had normal strength and balance. She states that modern children "need hours of play outdoors in order to establish a healthy sensory system and to support higher-level attention and learning in the classroom." More and more studies are coming to light expressing the same facts: Play is an essential part of childhood learning. As much as I know you want to get your children learning the ABC and 1-2-3, before you buy a curriculum, be sure to invest in a jungle gym, trampoline, bike or ball and give your kids ample time to play freely. Your children only get one childhood, let them use it for child’s play! This selection of purpose-chosen toys and games will help to create a 'learning environment' in your home, so that your kids will the skills they need in life while having fun! Use this as a wishlist for gifts for birthdays. Gross motor control refers to the movements of the large muscles of the body. Since gross motor skills can be learned and improved with practice, children need plenty of opportunities to exercise these skills.